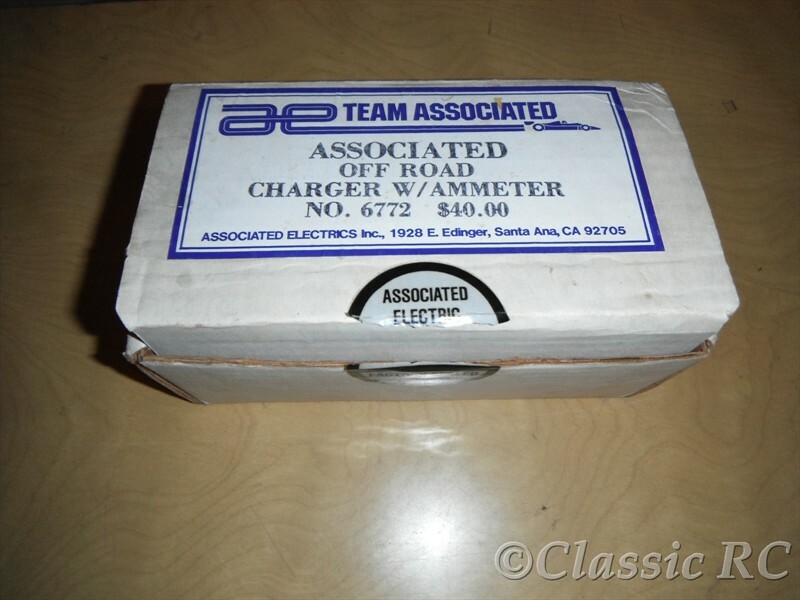 This is an early Team Associated Ni-Cd Fast Charger 6772 from 1984, replacing the older 3772 version with silver frontplate. 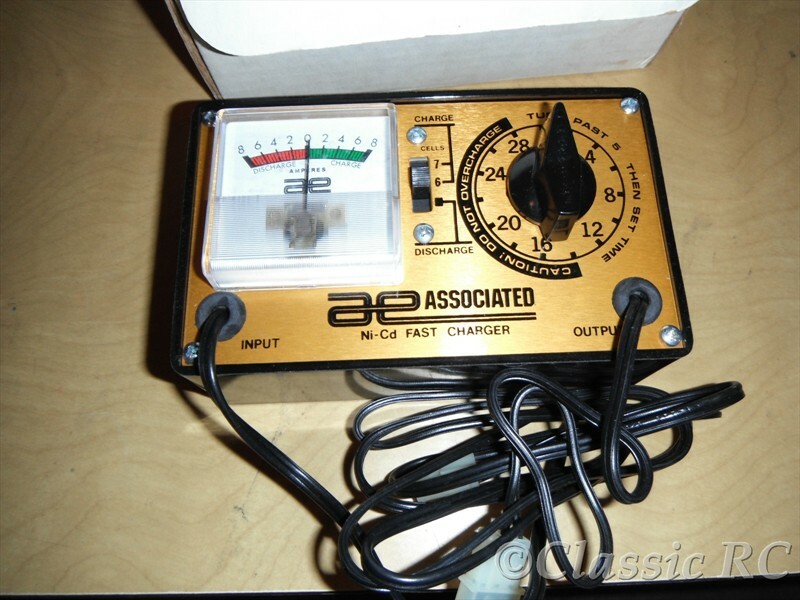 This charger is timercontrolled and could charge 6 or 7 cell batteries with a charge current of up to 8 amps. Also discharge and trickle charge were built into this charger. The same golden colour of the frontplate was used later also for the aluminium tub chassis of their first RC10 offroad car.